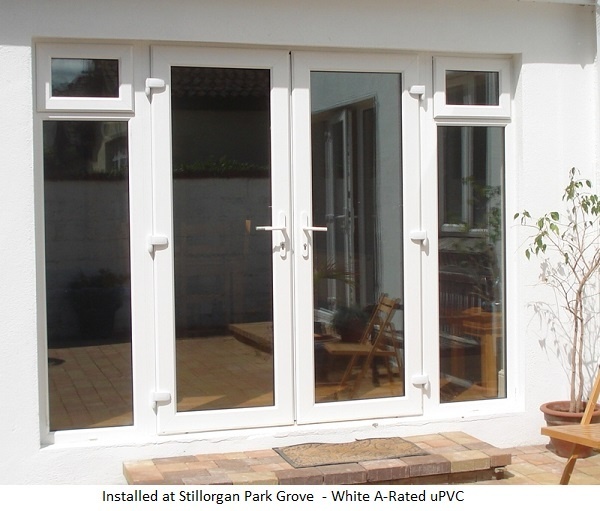 French Doors custom made to suit all Irish homes and apartments. Doors have evolved from the original old steel or wooden style that was available in the last century. 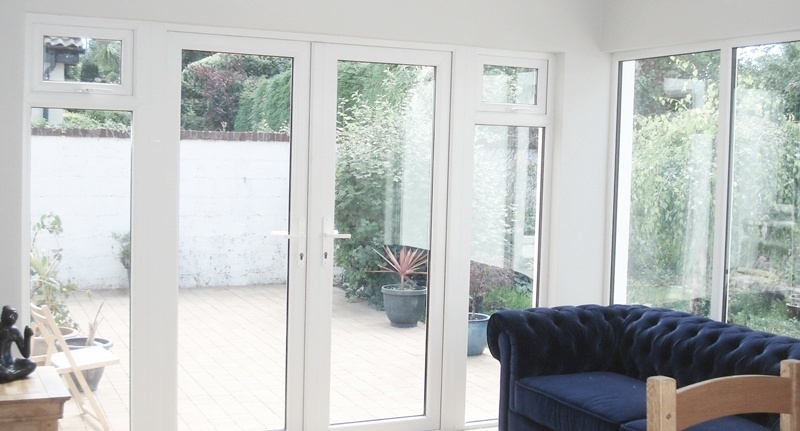 One of the great alternatives used to open up the back or side elevation of any home onto the garden is French Doors. If designed correctly it will enhance the elevation and also add security to your home. For safety and adhering to current regulations all French doors are installed with toughened double or triple-glazed units. When it comes to home improvement, French doors have become fashionable to update a home or give a house that special French je ne sais quoi. People choose these doors because they are designed to let sunlight in, giving a room a spacious and airy feel. Their history dates back to the 17th century when people relied on sunlight to illuminate their homes because there was no electricity. Glass panels that run the full length of the door classically characterize French doors. These panels are held together by a frame, which in modern designs could be made of aluminum, fiberglass or PVC. These frames have different advantages. For instance, metal frames like aluminum are more durable, lightweight and generally inexpensive when compared to the classic wooden frames. PVC is also durable and can be treated in such a way that it is made to look like wood or be painted in any color that blends with a specific decorating style. They are mostly manufacture in uPVC today. The stock colours available are “White, Oak, Rosewood, Mahogany & Black”. Other combinations which can sourced from Weatherglaze. There are many configurations to consider when designing your new doors. One of the most popular configuration is the doors centered between two sidelights. The sidelights can have opening vents on the top which will give adequate ventilation to the room, especially if it’s in the dining area. Combine your new doors with custom designed pvc windows for additional heat insulation. They are designed to compliment modern contemporary and period homes and will fit nicely with any decor. All our french doors are in-house designed which makes them very cost effective for homeowners. Doors are priced according to size and design. Currently a door configuration with side lites will cost about two thousand five hundred euros. To have your doors installed in a modern home might require some building work. This is not as daunting as it sounds. To create a new opening for the French doors will entail removing the wall underneath an existing window and this will take about two hours to do. All our agents are very familiar with whats required for your particular situation and will give you expert advice. 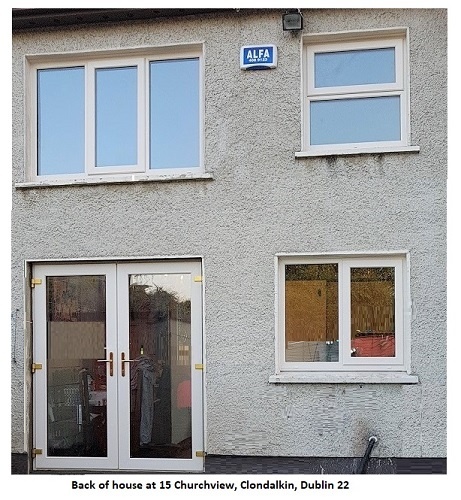 Doors in the two door style currently retail for €1500.00. 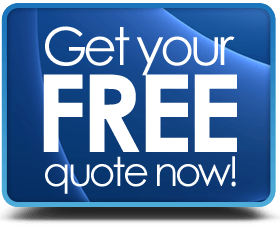 The cost of French doors depends on where they are installed. Interior French doors are less expensive than exterior ones because they do not have to be as sturdy and as durable. The cost of the most widely picked type of French door made of uPVC is between €1500 and €2500.00. This is a small price to pay considering how much value will be added to your house with French doors. There is a potential of a higher ROI when you modernize your home with a classical addition of doors. One of the most important aspects of doors is security. This is achieved by glazing the doors from the inside which is known as internally glazed. The locking system used today is the Weatherglaze hook-bolt with security coded keys. Every thing possible is covered when it comes to home security with your new doors. All doors are custom made and can be configured to satisfy the requirements of all homeowners. Our agent will discuss all aspects of the design and what will work best for you. Here is an inside view of a french door and how it might look in your home. Classically styled French doors appear are hinged and look either like single doors or double doors. Sliding doors can also be used to partition interior spaces without blocking the natural light. You can add functionality and improve the way a room looks by adding French doors. These doors are not only beautiful and stylish but they are versatile for being able to sing inwards and outwards. French doors are available in a variety of sizes and they also come in more styles than most people think. Traditionally, doors consisted of a grid system of vertical and horizontal panes in a frame. Modern designs offer sliding doors and French doors with or without a grid system. Modern French doors are made with toughened glass that can be bevelled, etched or V-grooved. The grid system produced a divided light, which is something that has not changed regardless of whether one has vertical or horizontal panes and crossbars. French doors with vertical crossbars are called mullions and those with horizontal crossbars are called mullions. Before choosing a type of French door for your home you need to consider a few things like how the doors will be used, where they’ll be located and how they fit in with your architecture. While wood and aluminum frames French doors might degrade over time in certain weather conditions, fiberglass and PVC French doors can withstand virtually any climate.